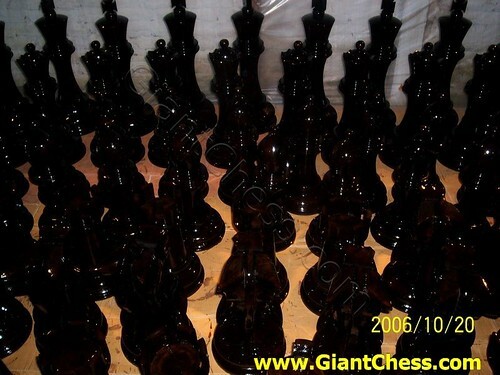 Here we have black and glossy chess pieces that very useful for decorate your house or as party decor. Have a party or some event in your house? Watch the excitement and enthusiasm when you add this kind of wood chess set to your party or event. You can also having a great chess game at your house, garden or yard. It very interesting to play chess game outdoor with your friends, children and family member. Black wooden chess pieces above are for our stock. Those are made of best quality of Teak wood and carved perfectly by expert cratfsman. Durable for outdoor use in any seasons and weathers. The product has prepared for outdoor use and polished in black color with glossy touch.